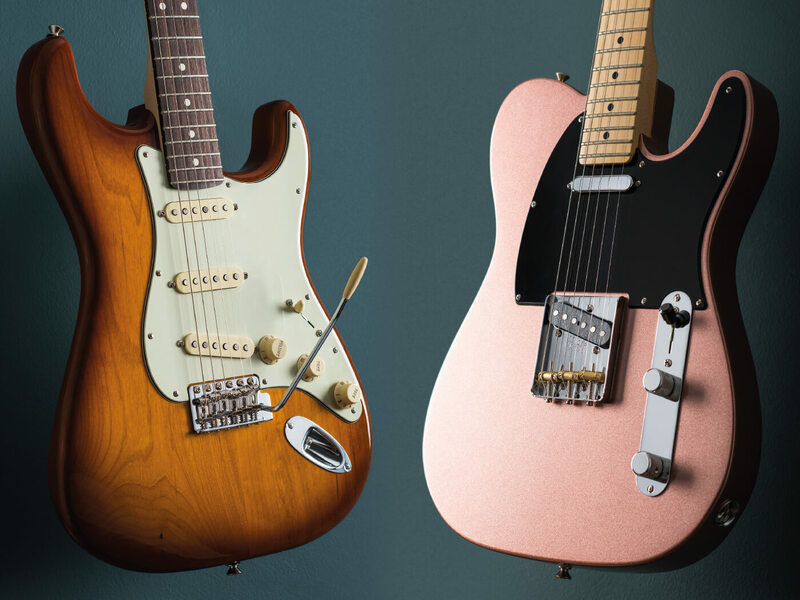 Fender overhauls its most affordable USA-made instruments for 2019 with new pickups, a fresh lick of paint and plenty more besides. Anyone who keeps a close eye on the pricing of new electric guitars in the UK will tell you that £1,000 isn’t quite what it used to be. The political uncertainty of recent times has seen the British pound hit record lows against the US dollar, and the prices of North American-made guitars and basses have risen accordingly. All that said, £1,000 or $1,200 is still an important psychological price-point at which players rightly expect an instrument that ticks all of the ‘serious guitar’ boxes, and will do the business everywhere, from sticky club stages to YouTube, for many years to come. Unveiled in early December 2018, Fender’s American Performer Series seeks to offer just that, with nine new guitars and basses bristling with new features in a candy store of colours. Superseding the previous American Special range, American Performer is now the most affordable way to get your hands on a solidbody built in Fender’s Corona facility in Southern California alongside the company’s recently overhauled American Professional and American Original lines. 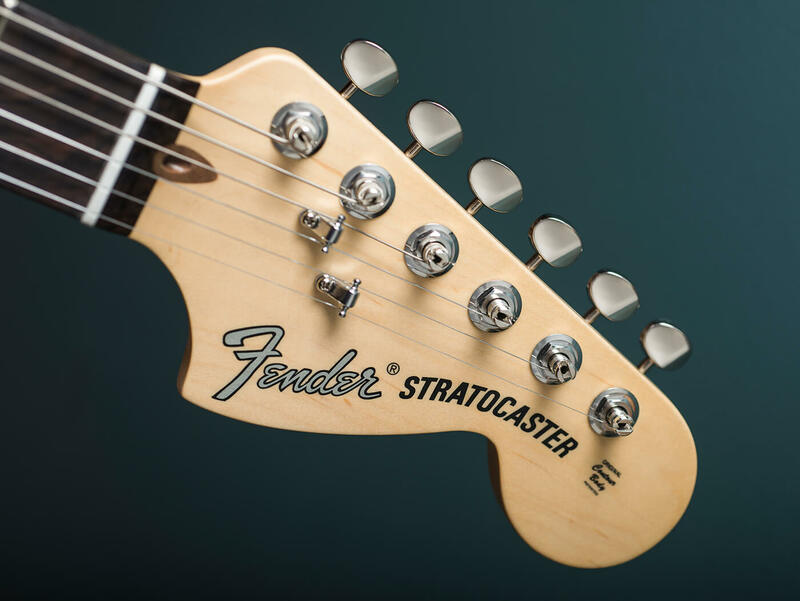 Joining our Stratocaster and Telecaster in the American Performer ranks are a neck-humbucker equipped Tele, a Jazzmaster with a Strat-style vibrato, a Mustang, a HSS Strat, and Mustang, Jazz and Precision Basses. New polyurethane finishes include satin versions of Fender’s classic Lake Placid Blue, Sonic Blue and Surf Green, while our review Telecaster comes in a cool new coppery metallic that Fender has christened ‘Penny’. The Strat arrived in Honey Burst with a mint-green ’guard, but in its Penny incarnation with a three-ply black/white/black pickguard, there’s a palpable Last Waltz vibe. Very cool indeed. New alnico-magnet pickups designed by Fender’s resident pickup guru Tim Shaw grace the entire range. On our review Stratocaster, we find a trio of new Yosemite single-coils. 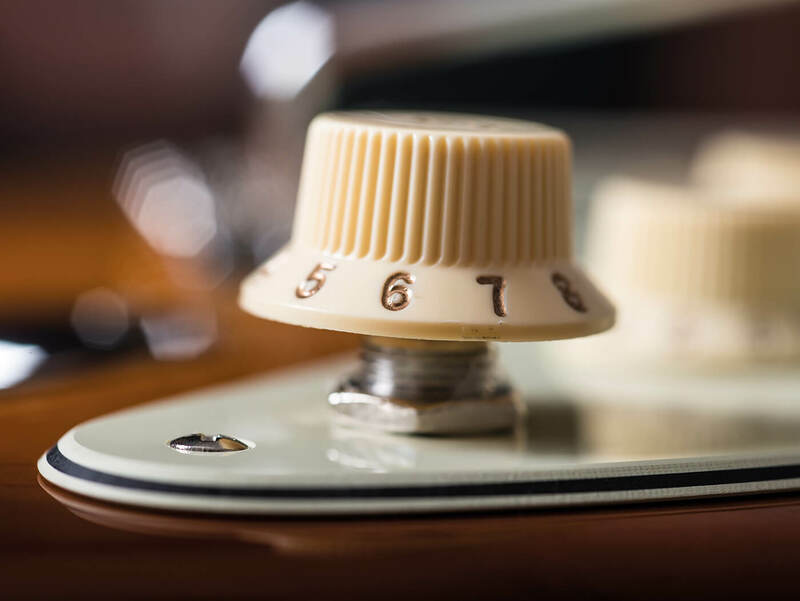 The middle pickup is reverse-wound and reverse polarity, while a push/pull tone pot adds the neck pickup in parallel, delivering additional tones in positions one and two on the now-customary five-way blade selector switch. 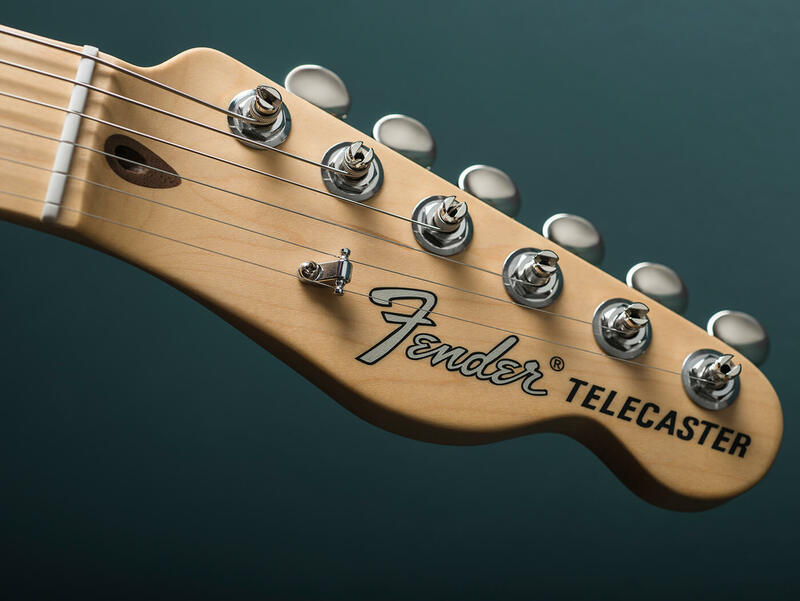 The Telecaster’s three-way wiring is simpler, and it also features new pickups named after the Sierra Nevada’s most popular tourist destination. 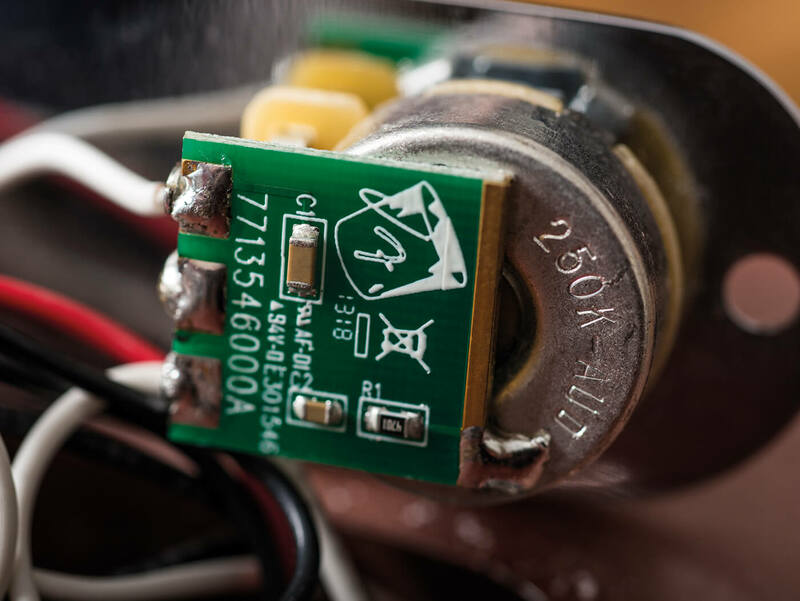 Both guitars incorporate Fender’s Greasebucket tone circuit which, via a pair of capacitors and a resistor housed on a tiny PCB, is designed to attenuate high-end without muddying things up. Broadly speaking, the Performer designs are mash-ups of various eras of Strat and Tele evolution, so the Tele gets an early-50s-style trio of brass saddles, an alder body and a silver 70s-style logo, while the Strat is similarly 1970s at the end of its oversized headstock, but its alder body and mint ’guard offer more of a 1960s persona. The maple necks here are comfortable and unapologetically contemporary, with slim ‘Modern C’ profiles, satin finishes, 9.5-inch fingerboard radii and 22 jumbo frets. Railway sleepers these jumbos decidedly are not – the fretwire is neatly installed and helps provide an easy, bend-friendly playing surface on both the Telecaster’s satin maple and Stratocaster’s bona-fide rosewood fingerboards. 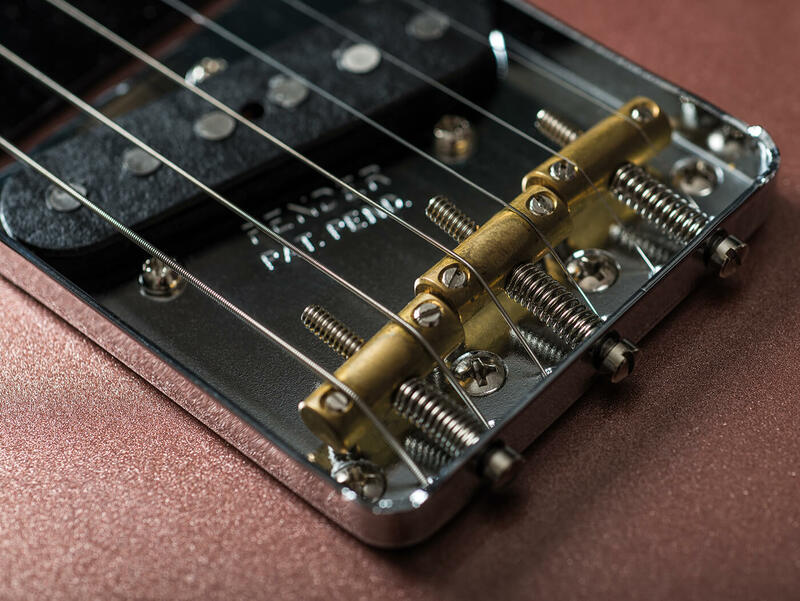 Truss-rod adjustment is at the headstock for ease of access and although they appear to be Kluson-style units from a distance, Fender’s new ClassicGear machineheads have an 18:1 gear ratio for smoother and more precise fine-tuning. It’s not necessarily a big deal if you front a blues power-trio and mainly play bar gigs, but higher-ratio tuners can be a godsend when recording, especially in the context of modern pop arrangements that include lots of perfectly in-tune electronic sounds. Plug any good Strat or Telecaster loaded with its most popular pickup configuration into a high-quality amplifier and it’s funny how utterly contemporary it still sounds. The guitar-pop pendulum has certainly swung back towards Fender in recent years and their innate clarity and percussive quality means these instruments seem to be able to find space in any mix, no matter how dense or inorganic the surroundings. Yet, as trends have shifted over the years, making Leo’s original designs work hasn’t always been a breeze. The balance between a Tele’s pickups is of huge importance; set the amp to compensate for a thin-sounding bridge unit and the neck turns to mush, dial in a Strat-like spank at the neck and the bridge unit can unleash a volley of frozen darts. Happily, there’s no imbalance here. The new Yosemite pickups are voiced bright and clear, for sure, but there’s enough power down at the bridge to satisfy snarling Jack White impersonators and enough clarity at the neck for ghostly Radiohead arpeggios. The middle setting provides a satisfying range of sweetness and twang that rewards right-hand dynamics, while the Greasebucket tone control extends the range of usable sounds further than usual. Plugging the Stratocaster into our amplifier without changing settings, it’s not quite as characterful or charming as the Telecaster, but there are an awful lot of useful voices here. The bridge pickup – admittedly a little nasal in isolation, but effective in a band context – can be softened without losing upper harmonics via judicious use of its dedicated Greasebucket-equipped tone control, while pulling the pot and bringing the neck pickup into the mix is a great secret weapon for slippery pseudo-Tele soul tones. All other Strat-isms are present and correct and the neck pickup in isolation is a particularly harmonically rich and enjoyable take on that classic Strat position-five tone that suits reverb and whammy-bar wobble – even if the guitar arrived with a rather stiff five-spring setup and the bridge flat to the body. The supplied gigbags are a little flimsy for anything more intensive than a quick trip to a rehearsal or local live show – thicker padding and more comfortable shoulder straps wouldn’t go amiss for those who carry their instruments on public transport, either. But otherwise, both guitars are stage-ready, sound excellent and represent solid value for money in the current climate.